Here comes another mobile game review. Infinity Blade is an old game for mobile phones, but one of the games which convinced me about mobile games becoming a serious contender against handheld games. Infinity Blade, developed by Chair Entertainment, dropped onto the iOS on December 9, 2010 and made me consider getting the iPhone just for this game (but I didn’t, I got the Samsung Galaxy S4). I’m sad Infinity Blade was not released on the Android platform because every gamer needs to experience Infinity Blade. The gamer starts out as a warrior who sets out to defeat an evil tyrant. You set upon his castle and fight your way through all his minions, collect items, gain experience points, and face the main baddie himself. The game is relatively short, but that’s just one play-through. 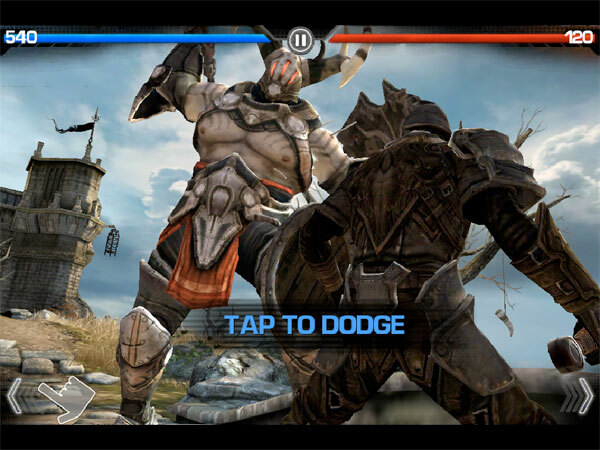 Infinity Blade brought gamers a different concept that works wonders for mobile/handheld specific games. Spoiler ahead! Skip to the next paragraph if you never played Infinity Blade before. Okay, it’s not that much of a spoiler, but the gameplay requires you to play through the same game over and over again, until you beat the main boss. The game recycles your dead character into a “descendant” of the original character you had, hence the player fights through the castle again. Technically, you can beat the game on one try, but since you are new at the game…that is highly doubtful unless you just have a immense talent for playing games. There are also two endings you can make at the end of the game, but I won’t spoil it that much for you.